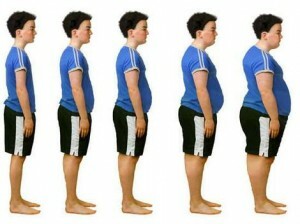 Good News America: Our Obesity Has Stabilized! We all know the stereotype: you’re at some tourist destination, Buckingham Palace, the Eiffel Tower, or the Acropolis, and you see a group of sweaty, overweight, fanny-pack wearing tourists and you think to yourself, “must be American”. Am I right? Of course I am, we even have Halloween costumes dedicated to this joke. Well, hopefully this common sight will soon be on the decline…or has at least stabilized for now. In the January 20th edition of The Journal of the American Medical Association (JAMA), a study suggested that obesity has leveled off in the past three years (2005-2008), maintaining an impressive 33% of the country. 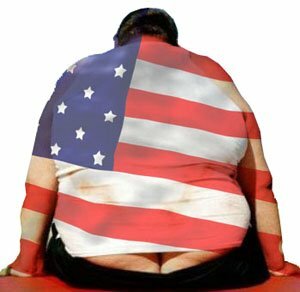 Although we are still the fattest in the world, with 10 times the rate of Japanese and South Koreans, there is still hope for us yet. All this weight adds up to a huge drain on health care costs, upwards of an estimated $147 billion per year (2008), with each obese individual spending 40-43% more on medical needs and prescription medication than the average normal weight individual. This doesn’t even include certain externalities, like loss of job productivity and early death; so from a fiscal standpoint, it is in our best interests to correct this problem! Now, after reading many articles summarizing this study, along with the possible causes contributing to America’s overall obesity, I found it astonishing that I saw no mention of the subject of food ingredients. I read about our trend towards desk work versus calorie-burning laborious work activities; time constraints forcing individuals and families to eat on-the-go; and the obvious cheapness of our fast food and grocery store edibles. 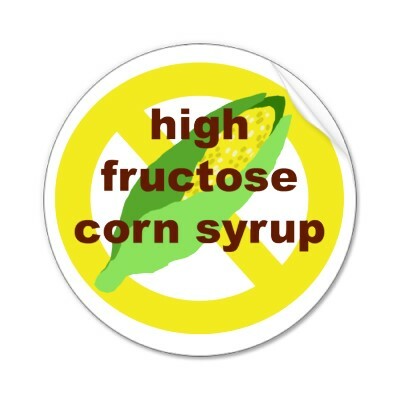 But, what I didn’t see was a list of harmful ingredients, mainly high fructose corn syrup (HFCS) that replaces sugar as a sweetening substitute in a majority of our foods, as a possible cause for weight gain. Also, if you’re wondering: YES, it is heavily subsidized by our own government…making it cheaper and easier to add to our foods than sugar (HFCS – 13.6 cents per lb. versus Sugar – 29.5 cents per lb. in 2005). Ok, so here’s what is so blatantly obvious and within plain sight of our policy makers: the USDA (who tracks HFCS usage) reported that American intake of HFCS peaked in 1999 at 63.7 lbs. a year/person, and has since dropped to 59 lbs. a year/person in 2005. Amazing, isn’t that the same year JAMA claims their study showed a start in the plateau of obesity rates? It’s not rocket science to conclude that the less HFCS a person eats, the better chance they have to avoid obesity. 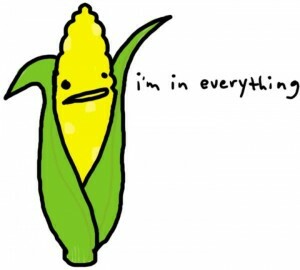 Wait, that won’t work: if we replaced HFCS with sugar again, then we’d have to re-draft billion dollar farm bills. Sorry to have bothered with this absurd idea…as you were. Brilliant! It’s amazing how you were able to look at just two statistics and draw a straight line of causation between them. It’s too bad scientists waste so much time actually studying things and finding out like, you know, real information about things. This is ridiculous. What about all those other fat countries that don’t use HFCS?